The National Seminar planning committee is seeking submissions from those interested in sharing their talents and expertise at our annual event. The event is scheduled for July 16-20 at the Hyatt Regency at the Arch in St. Louis, Missouri. 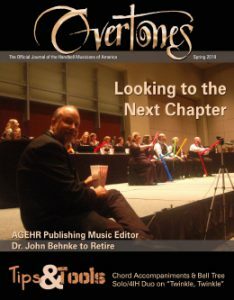 Those submitting must have their own individual Handbell Musician membership or be the primary contact for an organization’s Handbell Musician membership. Consider all aspects of handbell musicianship in all settings as you develop your class ideas. The committee strives to select a wide variety of classes for all constituencies of our membership. Those submitting more than one class topic will be given priority consideration. Those interested in teaching at the event must submit a separate Class Submission Application for each class topic/idea they would like to present. Complete the application by following the link below. All applications MUST be completed using the online form at the link provided. Applications in other formats will not be accepted. Any applicant who has not taught at a National Seminar or Pinnacle in the past three years (since Rochester 2016) must provide two letters of reference from individuals who have observed the applicant teaching within the past 12 months. These letters must be sent directly to faculty@handbellmusicians.org by the person providing the reference. It is your responsibility to ensure that both recommendations are sent by the deadline. Questions regarding the process should be directed to faculty@handbellmusicians.org. 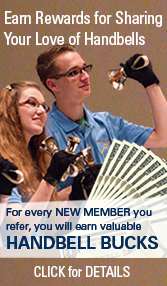 Those submitting must have a Handbell Musician membership in the name of the performer or performing group. We will be selecting performers for both evening and day-time concerts. The committee strives to select performers that represent all areas of Guild membership. Performers from worship settings, schools, and the community, as well as youth, adult, soloists, small ensembles, and other unique combinations, will all be considered. Those interested must complete a Performer Submission Application which is available by clicking the application button below. All applications MUST be submitted using the online form. Applications sent in other formats will not be accepted. A link to a recently recorded audition video (recorded with in the past 12 months) must be provided. See additional criteria in the submission application. Deadline for submission is October 1. Applicants will be notified of committee selections by January 1, 2019. Questions regarding the process should be directed to performers@handbellmusicians.org.